Insect Nets There are 2 products. Insect Net, Economy *Oversize*. 10.5" Dia X 16" Deep 36" Hndl. 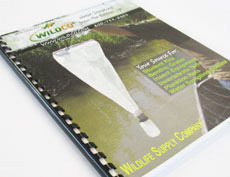 This very light-weight net is useful just about anywhere. Of soft micro-mesh, it is great for field trips and easy to carry. Ideal for students.Features include:Hoop diameter: 10-1/2”Bag depth: 16”Handle: 5/8” x 36” longThis item ships oversize. Oversize fees will be added to your shipping. 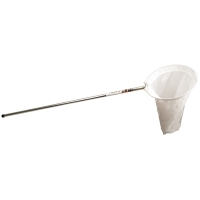 This handy net is of monorail™ design - the net is encased in the aluminum bow to prevent wear around the hoop. 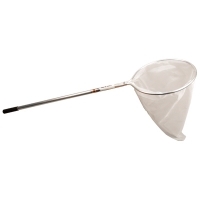 Strong yet lightweight, with a white micromesh net.Features include:Hoop diameter: 15”Bag depth: 25” deepHandle: 1 x 36” long, with foam gripThis item ships oversize. Oversize fees will be added to your shipping.